Looking for a cost effective way to promote your business? 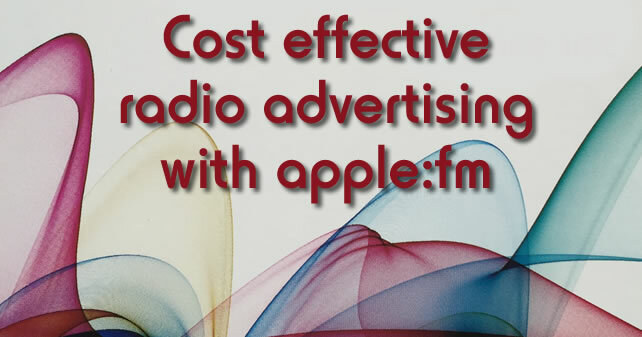 Then try radio advertising or sponsorship with 97.3 Apple FM. Radio can carry your message to more people, more often and more immediately than any other advertising methods. Radio is effective at reaching an audience as they go about their daily lives at home, at work, while driving, walking the dog or going for a run – people listen the radio everywhere. Independent research shows that radio achieves the greatest recall of all media with the strongest memory retention of a brand and company. Radio is a one-to-one medium, with the radio presenters seen as friends. These relationships make your potential customers more receptive to your advert as the listeners feel like they heard it from a friend. Radio has the shortest lead time of all media. If you need your message across NOW, only radio can offer this. Radio allows your message to be received by more people more often, thereby producing a lower cost per thousand people than any other media. Plus Apple FM is a not-for-profit company so we think you will be amazed at how low our prices are. 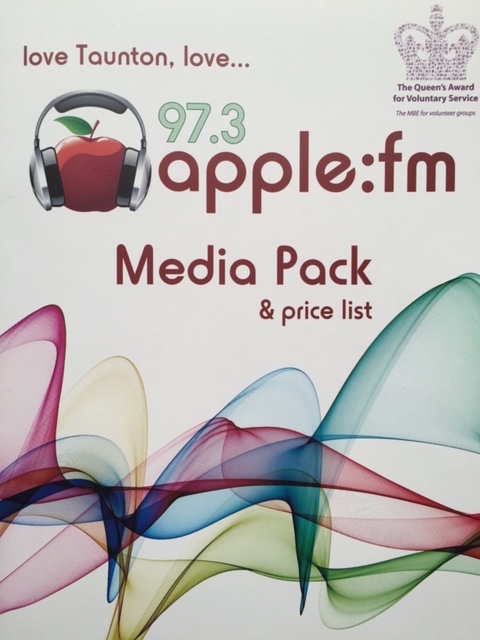 Contact the Apple FM Sales team now for a no obligation quote and a free Apple FM Media Pack, which will explain how we can help you achieve your advertising goals in a cost effective way with proven results.